Private jet charters in Dallas with instant access to private planes near you. 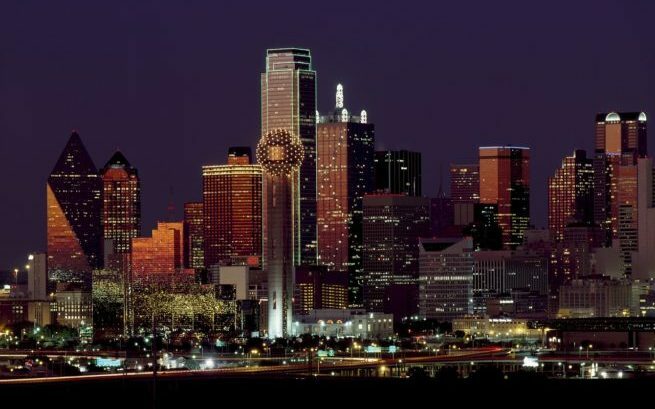 Dallas is the biggest hub of industry in the American South, it’s home to one of the busiest commercial airports in the world, and it’s one of the most popular destinations for private and business aviation in Texas. Flying private allows you to bypass the air traffic of commercial hubs by taking advantage of airports focused primarily on private and general aviation. Clients using private jet charters can choose to arrive at a variety of regional airports, allowing business and leisure travelers to land closer to their destination. Air Charter Advisors was established to offer the highest standards in executive and leisure travel. Our air charter brokers offer on-demand Dallas private jet charter flights to/from anywhere in the world with access to thousands of private planes located across Texas, the rest of the US, and around the globe for domestic and international jet travel. Our safety and due diligence standards sit atop the private aviation industry, utilizing standards that meet and/or exceed specified by the FAA, and those used by Fortune 500 companies on their business jets and corporate aircraft. All of the private planes we arrange for charter flights are operated by FAR Part 135 (or foreign equivalent) air carriers, and we review third-party audits to ensure aircraft, operator, and pilot history and performance are satisfactory. Although we specialize in high-level air charter service, our Dallas Air Charter Advisors can arrange several types of private flights. Our competitive rates and relationships across the country allow us to offer competitive rates on all of our flights, and we have exclusive marketing agreements on planes to pass the saving directly to you. If you’re planning an extended stay, empty leg charter flights may be available to reduce your charter cost. We also arrange aircraft for group charters when needed by sports teams and large organizations, and we have tons of experience arranging medical charter flights for a a variety of clients. We’re here to become your complete solution for luxury air charters, aircraft acquisition and private jet management in the DFW area and across the Lone Star State of Texas. Call us at 1-888-987-5387 or request a quote for your charter flight to Dallas. Private jets most often use Dallas Love Field (IATA:KDAL; FAA: DAL), the #1 private airport in Dallas. Clients flying private can choose from nearly a dozen additional airports within 25 miles, with many focusing on private aviation and its passengers. There are also hundreds of planes based at each airports for flights to/from central Texas, and transient planes create empty leg opportunities on a near daily basis. When working with our Dallas air charter brokers, you’ll enjoy access to thousands of private planes for your aircraft your flight, from pistons and turboprops to light, midsize and long range jets, all the way to regional and VIP airliners for group charters and corporate air charter service. Our global network of aircraft includes more than 10,000 private planes, all operated by FAR Part 135 or 121 (or foreign equivalent) air carriers, and we review third-party audits detailing aircraft, pilot, and operator history before offering options. We use two pilots for every private jet flight, and the flights crews we arrange must be highly qualified to captain the exact plane you’re chartering — our safety standards are second to none. Some of the most frequently requested aircraft for private flight to/from Dallas includes turboprops and light jets (Cessna 208 Caravan, Pilatus PC-12, Phenom 300, Hawker 400; midsize and super midsize jets (Citation XLS, Challenger 300/350, Hawker 800XP, Legacy 500); and long rang jets (Gulfstream G4, GV, GVI, Global Express/6000/7000/8000). Check out our aircraft gallery for more details on the aircraft available for your trip. Our Dallas jet charter brokers will provide a variety of aircraft options that match the goals and budget of your trip; choose a cost-effective option, the most stylish business jet in Texas, or somewhere in between. Give us a call — getting a jet charter quote is fast, free, easy, and non-committal. 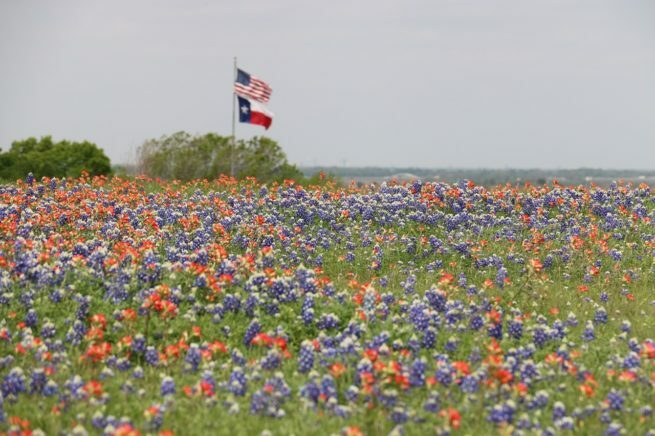 Located in the north-central part of Texas, the Dallas-Fort Worth Metroplex, commonly referred to as DFW, North Texas, or The Metroplex, is the most populated area in Texas. It’s also the 4th most populous area in the country, although Dallas itself is the state’s third largest city behind Houston and San Antonio. 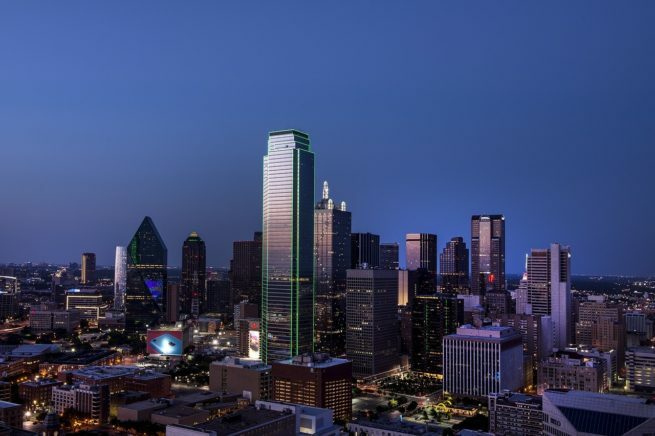 It’s a gigantic, sprawling city featuring numerous districts, so check out this link for information regarding sightseeing, restaurants, nightlife and accommodations in Dallas, Texas. Dallas rose to fame as a major center for cotton, cattle and oil industries, along with access to several key railways. Later construction of the Interstate Highway System would reinforce its position as as a major transportation hub, connecting the city to four major interstate highways, with a fifth interstate loop around the city. Between Houston and Dallas, the state of Texas has become one of the most important logistical areas in North America. Today, it’s one of the most popular destinations for business jets and executive jet charters in the United States, as well as leisure flights stopping to re-fuel, transfer to a commercial flight, or spend a weekend at one of the area’s top resorts. It’s also a shopper’s paradise, home to more shopping centers per capita than any other city in the country. Rent a private plane to Dallas and experience cowboy culture set to a business backdrop. Have you always wanted to wear a cowboy hat to a work meeting, or to go line dancing with your coworkers instead of to that boring bar? Well then saddle up and fly private to Dallas, partner! This city mastered the after-work cocktail, and seamlessly melded it with their wild western way of life. Honky-tonk your way over to Adair’s Saloon and spend an evening two-stepping with your compadres, or wind down to the tune of live music and local beers at The Rustic Bar & Eatery. If you have a day off or you’re not busy during the weekend, the city is packed with outdoorsy activities and family fun. 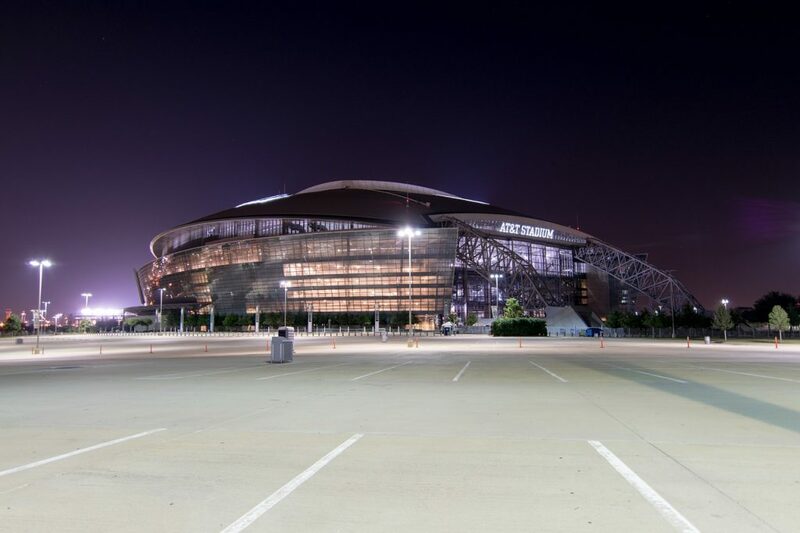 Head over to Arlington to watch the Cowboy’s at AT&T Stadium, or catch a Texas Rangers game at Globe Life Park. 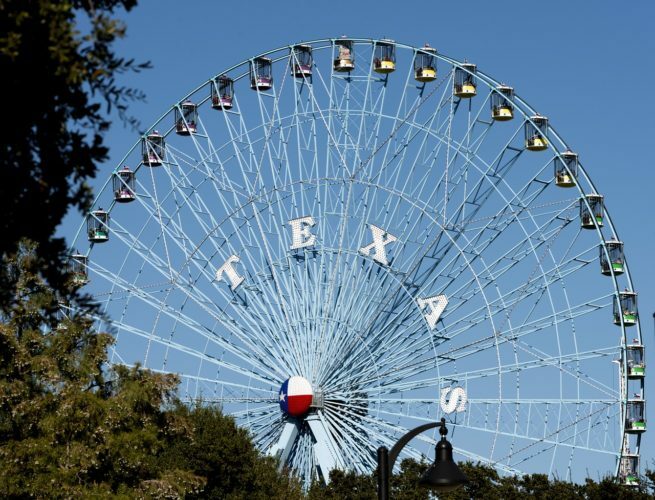 Arlington is also where you’ll find Six Flags over Texas, a 212-acre theme park home to 12 roller coasters, 5 water rides and a variety of other attractions. There’s also are a ton of golf courses in the area, with five outstanding municipal courses available to the public, along with a wealth of private country clubs. Another one of the most popular destinations is the Dallas Arboretum and Botanical Gardens. With over sixty acres of seasonally rotated displays, it’s no wonder that they receive close to a million visitors every year. While the arboretum is perfect when the weather is nice, the Morton H. Myerson Symphony Center is a great destination for the more music minded private jet traveler. From expansive nature parks and meandering mountain hiking trails to lavish cocktail bars and hip swaying country dance clubs, Dallas is a modern twist on the iconic Lone Star State. Our Wyvern-certified brokers connect executives and business flyers to a fleet of private turboprops, jets, airliners and helicopters located across the country within minutes. We search the market for empty leg private jets and compare planes based at local airfields to connect you to the right plane for every flight. Our competitive rates mean you won’t ever have to sacrifice quality, comfort, or safety. Our simple, pay-as-you-fly service means no additional fees, contracts, or memberships, and we offer jet card programs and private plane sales/acquisitions assistance for clients and corporate teams. Our air charter brokers are available 24 hours a day, 7 days a week, offering quick response times and an easy, hassle-free booking process. We can also assist with luxury concierge services including ground transportation, helicopter lifts, and more. Dallas built its economic strength on the stockyards of Forth Worth and its massive cotton industry. The fact that the city supplied nearly 1/3 of America’s cotton supply by the mid-1920’s created a series of railroad and highway connections to the state over the years, turning it into the South’s largest transportation hub for both motor vehicles, railway lines, and both commercial and private aviation. As the biggest city in a state where everything is bigger, including the oil industry, Dallas is one of the most influential oil and gas hubs in the world. After it was first discovered near Kilgore in 1930, Dallas’ proximity to the discovery immediately made it a focal point in the nation’s petroleum industries. Future discoveries of oil in Oklahoma City, the Texas Panhandle and the Gulf coast would cement the city’s position as a leader in the American petroleum market. Today, Dallas is third on the list of of American cities home to Fortune 500 companies, behind only New York City and its Lone Star State neighbor, Houston. Industry leaders such as AT&T, Greyhound Lines, Capital One, Oracle, ExxonMobil, both American & Southwest Airlines, in addition to many, many others, are all headquartered here. Dallas is even sometimes referred to as “Silicon Prairie” due to its concentration of telecommunications companies rivaling that of its Valley counterpoint in the Bay Area. This has created a very friendly environment for business aviation, with a variety of local airports for business/corporate jets and executive charter flights to choose from, along with an array of private terminals loaded with business amenities. Dallas currently comes in as the third most popular destination for business travel in the United States, and the Kay Bailey Hutchison Convention Center is one of the largest and busiest convention centers in the United States (www.dallasconventioncenter.com). Dallas was rated as a “beta plus” global city by the Globalization and World Cities Study Group & Network; the city was 14th in a worldwide GDP ranking performed by the Organisation for Economic Co-operation and Development. All of the elements add up to one of the most important business regions in the United States. Whether you need a last minute one-way flight to meet your deadlines, an empty leg charter flight for prospective business ventures, or you just want to create a supplemental lift program for your executives and corporate fleet, speak with one of our advisors today. Charter a private jet to Dallas and find yourself surrounded by more five-star hotels than you can shake a stick at. Texas is well known for its deeply ingrained ties with the oil and gas industry, and as the hub for American energy and a major player in several other industries, the city is chock full of luxury hotels that house the thousands of business men and women that come in and out every day. Many of these hotels are located within walking distance of the most diverse nightlife in Texas, and just a short cab ride to the rest. From business district modern hotels to homey mom n’ pop and extravagant boutique options, Dallas is bound to have a lodging that suits your needs. The three airports listed below are located between 20 and 35 miles from downtown, and offer flexible arrival/departure options for clients flying to/from the area. Click here for more information on Dallas-area airports. Request a Quote or give us a call at 1-888-987-5387 to speak with one of our Dallas Private Jet Charter brokers for your next luxury vacation, business trip, or special event. Enjoy all-inclusive charter quotes, competitive hourly-rate pricing on Wyvern-certified business jets, flown by pilots with a wealth of experience in the aircraft type you’re chartering. Our private charter services can add hours of precious time to your trip to Dallas, all while escaping the hassle of stress-inducing commercial flights.